The Resurrection Power and Living Bread Ministries has announced that it is dedicating the year 2015 to the memory of its founder, Rev. 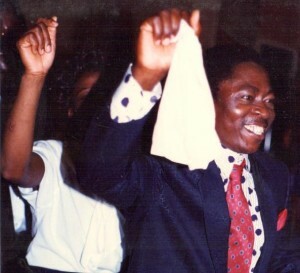 Francis Akwasi Amoako, who went to be with the Lord 25 years ago. As part of activities lined up, the church would be retracing the original ideologies and passions of its founder while expecting that the congregation also follows in those same doctrines throughout the year. Rev. Boakye Acheampong, Regional Overseer of the REPLIB disclosed this to this paper in an interview after the church’s last Sunday and thanksgiving service in Accra. According to Rev. Boakye, some of the ideals of its founder, Rev. Francis Amoako, were church growth, soul winning and for the body of Christ to experience total deliverance based on Colossians 1:28. As part of activities to mark the 25th anniversary of the home-call of its founder, the church is expected to take care of the spiritual and social needs of the vulnerable in society while getting its members deeply involved in communal work. Rev. Boakye Acheampong also used the occasion reminisce the year, describing it as a generally good year where many lives were transformed both spiritually and physically. Also, he added that the church had been able to acquire a new property just across its current location, intended to be used for the expansion of the gospel. Posted in Blog on January 15, 2015.